He often wondered if we were all characters in one of God’s dreams. But just as humans have the free will to diverge from their assigned roles in God’s dreams, so too do the characters surrounding Tom have the tendency to operate freely and independently while maintaining just enough piety and obeisance to keep Tom happy. And he is perhaps much more manipulated than he would ever suspect. The other characters swirling around him include his wealthy wife Claire with whom he shares an open marriage full of his-and-hers infidelity, their grown daughter Marigold who disappoints them in many ways, Tom’s beautiful grown daughter Cora, a taxi driver-confidante, various in-laws, and a few flaky actresses. The book looks at the blurry lines between reality and dreams from many angles and on many levels, both obvious and subtle. Tom’s movie plots are not just dreams turned into “reality”, but they also take real life events and turn them into cinematic dreams. I also think in some ways that Tom’s reality is more of a dream than he would like to admit. 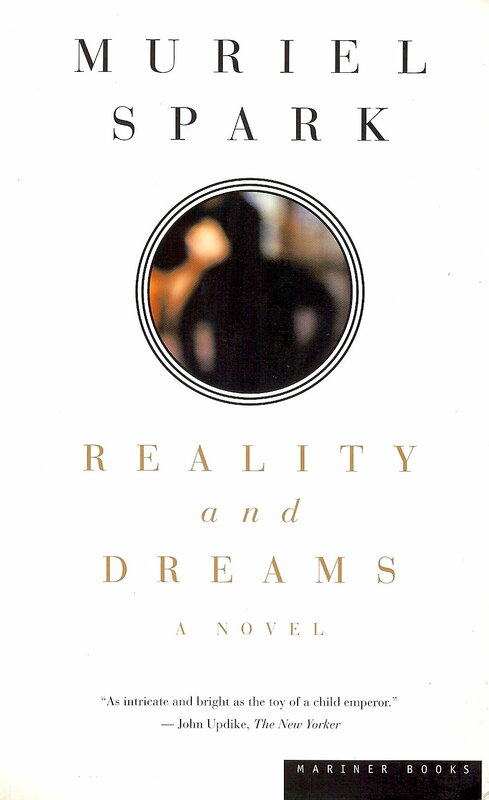 Reality and Dreams is satirical and often humorous and, like many an Iris Murdoch novel, has lots of mix-and-match bed hopping. The brilliance of Muriel Spark is her ability to create characters and plots that are crazier than most of us encounter in our own lives, but not so crazy as to make them unbelievable. Similarly, we don’t end up liking these characters in the sense that we would want to know them personally, but we do love to watch them and live out some of our darker thoughts and personality disorders vicariously. A kind of safety valve to keep us all from becoming miserable bastards. This is a book that I naturally want to read simply because it's a Spark that hasnt reached me yet. I will have to keep my eyes out for this one at the library. Simon: I don't think you will be disappointed.